Well, this has been an amazing year, to say the least. If you’ve been following this blog this year, then you’ve heard about some of the things I’ve been up to, and more importantly, what God has been doing in my life this past year. I’m sure I’ll more to say about that later, but for now, I’d just like to take a moment and list all the wonderful things that have happened in the last 365 days. January – went to a writers conference in Greenville, SC, hosted by one of my favorite authors, Lynette Eason. Met some really wonderful people and had an extremely encouraging critique from another of my favorite authors, DiAnn Mills, and a very insightful mentoring appointment with Lynette. Got some really great advice from a number of the other author instructors while there as well. Felt renewed to continue pursuing my writing. February – made my self-imposed deadline of doing the “final” edits on my manuscript so that I could send it to a publisher who had requested to read it. 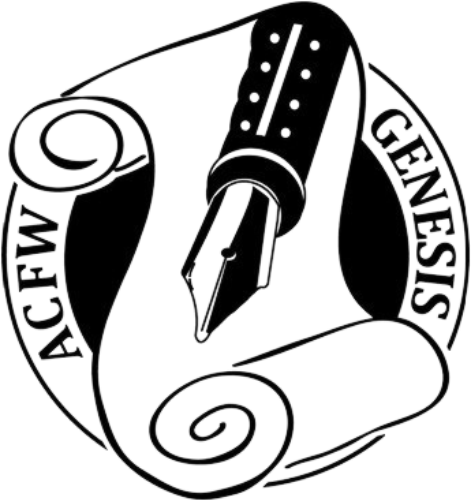 March – entered the ACFW Genesis contest for unpublished writers, hoping to get some good feedback on my first 15 pages. March – also this month, I taught a day-long workshop on social media for my critique group. 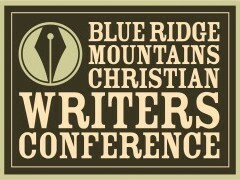 April & May – geared up for the Blue Ridge Mountains Christian Writers Conference by creating all of the materials needed for pitching my work to editors and agents. May – a couple of weeks before the conference, I found out that I had made it to the semi-finals of that Genesis contest! This was so unexpected and exciting! That meant I was in the top 7 of my category. Wow! May – I went to the BRMCWC and had a wonderful time. Made lots of new friends and had great pitch appointments with a couple of agents and editors. I walked away with so much knowledge and even some requests to submit my work! June – Began outlining Book 2! June – After the conference, while I was working on getting my proposal together to send to the editors/agents who had requested it, I got another phone call … I had made it to the final round of the Genesis contest! This meant I was now in the top 3! The winners would be announced at the Awards Gala during the ACFW national conference in Nashville in August. And so, I made plans to attend. July – The publisher I had submitted to back in March actually offered me a contract. After a lot of prayer, I ultimately decided this was not an opportunity that God wanted me to pursue. But I was very excited to have received the offer. It reminded me that God has a plan for my writing. September – I submitted my proposals to the editors and agents who had requested it, and then I waited … and began the actual writing of Book 2! October – I began the Citizens Police Academy with my local sheriff’s department. The 6-week program which took me through every aspect of how the department functioned, including real-life experiences of shooting my first shotgun and AR-15, plus a ride-along with a deputy (a female officer – which goes right along with my main character!). It was a wonderful experience that was important and necessary research for my writing, especially for Book 2. October – I received an offer of a contract from one of the agents I had submitted to! I prayed and felt God leading me to sign, so I did. I now have an agent! Just one step closer to publication! November/December – these months have been filled with the holidays, but I’ve managed to get in some writing here and there. I’m about halfway through Book 2 now! What a whirlwind this year has been! Thank you for reading and for supporting me this year. I am looking forward to walking through more writing adventures with you in the year to come. Let’s journey together!